There are three major cities in Julia Othmer’s life – Kansas City, Philadelphia and Los Angeles. Kansas City is where she was born and raised. Philadelphia was where her career as a singer/songwriter/keyboardist came to life. Los Angeles has been her home for more than a decade. This week, Othmer is bringing her music back to where it started. On September 18, she is co-headlining a show at the World Café Live (3025 Walnut Street, Philadelphia, 215-222-1400, www.worldcafelive.com). On September 20, she will share the bill with Karla Bonoff at the Sellersville Theater (24 West Temple Avenue, Sellersville, 215-257-5808, www.st94.com). She did a pledge fund campaign to finance the album and her fans that supported the campaign already have the album. Everyone else will have to wait for a while. The album was recorded over the last year in Los Angeles with composer-producer James “JT” Lundie. “I did a Kickstarter campaign to get the time and space to make the album I really wanted to make,” said Othmer. The first CD she released was “Live at the Tin Angel” CD, which was recorded in October 2002. 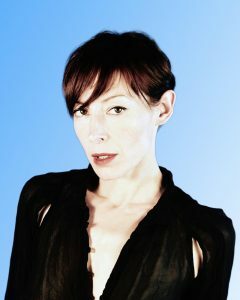 In 2004, Othmer was nominated at the Philly Music Awards for “Best Female Entertainer”, “Best Female Vocalist” and “Best Keyboardist”. Her most recent album was “Oasis Hotel,” which was released in 2006. Tracks from “Oasis Motel” have been featured on such shows as “Witches of East End,” “Switched at Birth,” “The Lying Game,” “Army Wives,” “Party of Five,” and “DeGrassi: The Next Generation” and earned her songwriting awards from the Billboard World Song Contest and the International Songwriting Competition. Now, after waiting for more than a decade for a new album, Othmer’s fans are being treated to a stellar new LP release. “There are 10 songs on ‘Sounds’ and they come from a variety of eras,” said Othmer. “The album’s 10 songs tell a story. It has an arc. As good as Othmer is in the studio, she is even better in stage. Othmer is known for her energetic live performances. Facing the audience while playing her Yamaha keyboard, Othmer is a bundle of energy unleashed. She delivers each song with intensity and rarely stays seated for long. At times, she looks like a modern female version of Jerry Lee Lewis (just as intense but not quite as manic). When the music starts, she never holds back. “For my show at the World Café Live, I’ll be playing with some Philly musicians,” said Othmer. “Ken Pendergast is on bass, Erik Sayles is on guitar, Chuck Staab is on drums, and I’m on keyboards and vocals. We’ve been playing together for a long time. “I’m going to be playing about half the new album in my show at the World Café Live. It will be different at the Sellersville Theatre because I’m playing solo and it’s a shorter opening set. The show at the World Café Live, which also features the Dead Flowers, will start at 8 p.m. Tickets are $10. The show at the Sellersville Theater, which also features Karla Bonoff, will start at 8 p.m. Tickets are $29.50 and $45. 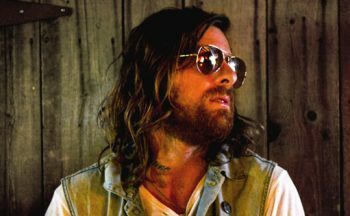 For years, Matt Mays, a Canadian singer-songwriter and JUNO Award winner, has faced the challenge of breaking through in the United States. Facing the challenge head-on, Mays has been able to make significant inroads in the States. Mays will be giving his growing U.S. fanbase additional opportunities to witness his incredible live show this September. His tour will make a local stop on September 18 at Bourbon and Branch (705 North Second Street, Philadelphia, 215-238-0660, bourbonandbranchphilly.com). Mays is on the road in support of his new album – “Once Upon A Hell Of A Time…,” an album that tells the story of a man in search of love, coping with loss and looking for something more. “I recorded the album over the course of a couple years,” said Mays, during a phone interview last week as he and his band travelled from Detroit to a tour stop in Rochester, New York. “I did some of it in L.A. at Elliott Smith’s old studio. Most of it was done at a studio in Montreal – a studio in the jam space used by the Canadian bands Stars and Wintersleep. “I did a whole other record in L.A. I worked hard on it. I liked it but I decided to shelve it. It needed a lot more work. I did take a few songs from that session to use on the new album. Mays, a musical Haligonian (citizen of Halifax, Nova Scotia), recorded the bulk of the album with co-producer Loel Campbell (Wintersleep) during an intense two-month period in Montreal during the summer of 2016. After departing seminal alt-country collective The Guthries in 2002, Mays went on to alternate between solo projects (his self-titled debut, the faux soundtrack, “…When the Angels Make Contact” and band projects (the eponymous Matt Mays & El Torpedo record and 2008’s Terminal Romance). Following the dissolution of Matt Mays & El Torpedo in 2009, Mays released “Coyote” in 2012 to much acclaim –including a win at the JUNO Awards for Rock Album of the Year. His latest full length, “Once Upon A Hell Of A Time…,” has catapulted Mays to new levels of fame and reverence in Canada. “Me and Loel spent about six weeks straight making the new album,” said Mays. “We’d come in at 7 p.m. each night and work throughout the night. The theme of the album came out a little more. The lyrics were a little more stream-of-consciousness. 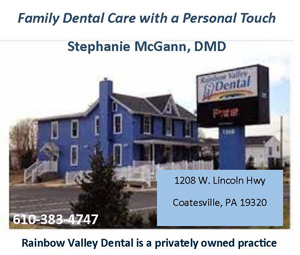 “It was a therapeutic experience for me. I was messed up over as lot of things. I had lost my best friend to suicide. I also went through a rough break-up at the same time. Video link for Matt Mays – https://youtu.be/4V11sLe5n8c. The show at Bourbon & Branch will start at 7 p.m. Tickets are $12. In an odd musical/geographical coincidence, another band from Canada’s Maritime Provinces will be performing in Philadelphia on September 18. 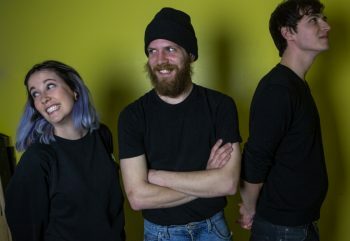 Motherhood, a band based in Fredericton, New Brunswick, will headline a show Tuesday night at Kung Fu Necktie (1248 North Front Street, Philadelphia, 215-291-4919, kungfunecktie.com). Motherhood will be back in Philadelphia for a show on September 24 at The Pharmacy (1300 South 18th Street, Philadelphia, https://thepharmacyphilly.org). The trio features Adam Sipkema, Brydon Crain and Penelope Stevens. Motherhood’s sound has been described as everything from experimental art-rock to avant-country to circus punk to weirdo country to black metal fusion. “Adam and I went to high school together in Belle Isle, New Brunswick,” said Crain, during a phone interview last week. “We moved to Fredericton and met Penny. At first, we had a five-piece band and then we whittled it down to three. “We’ve been together for eight years. Our first album was ‘Diamonds and Gold’ in 2013. We released our second album – ‘Baby Teeth’ – last year. Our new one – ‘Dear Bongo’ – is out on Forward Music in Canada. We’re still shopping it in the States. Motherhood didn’t waste time in the studio. Now, Motherhood fans will get to hear all the songs from “Dear Bongo” performed live. Video link for Motherhood – https://youtu.be/y8vobfq3AIg. The show at Kung Fu Necktie, which has Qwark and Nancy Strong as opening acts, will start at 8 p.m. Tickets are $7. The show on September 24 at The Pharmacy will start at 8 p.m. Tickets are $10.